Would you eat a 3-D printed pizza? While 3-D printers have mainly been in the news for their ability to manufacture inedible goods, they are increasingly being used for culinary endeavours. Could you imagine serving a 3-D printed turkey for Christmas lunch? Or munching on a 3-D printed pizza for an afternoon snack? This is not as far fetched as it sounds. While 3-D printers have mainly been in the news for their ability to manufacture inedible goods, they are increasingly being used for culinary endeavours. 3-D food printers extrude soft liquid edible matter through nozzles that build up layer by layer in patters directed by a computer program. They can pump out everything from to chocolates, confectionery, biscuits and pancakes, to pasta, pizza and other savoury snacks. News reports and industry blogs are very positive about what 3-D food printing can offer. 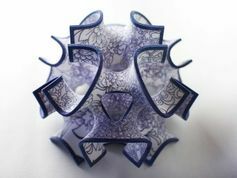 They have covered such events as Michelin-starred chefs experimenting with 3-D food printers in pop-up restaurants in Europe. The media have also reported on the potential for 3-D printing to cater for astronauts, air travellers and people in emergency situations. Nursing homes in Europe are offering 3-D printed food with jelly-like texture for residents with chewing and swallowing difficulties. Developers of 3-D food printers claim that people will soon have these devices in their kitchens, helping them prepare tasty and healthy foods at home. A 3-D food printer was demonstrated at the 2014 Consumer Electronics Show in the US. But that’s not all. There’s also the radical idea of using insects and laboratory-grown meat in 3-D printed food as a sustainable alternative to traditional protein sources. Meat and Livestock Australia also recently announced that it is looking into ways to use 3-D printing to produce new meat products to extract the most value from animal carcasses. So it is not far-fetched to imagine serving a Christmas lunch with 3-D printed food made from red meat and poultry, or decorative edible items made from fruit or vegetable purees, sugar or chocolate. What do you think about 3-D printed food? Would you try it, or offer it to family members or guests? Despite industry enthusiasm and investment in research and development, few studies have actually asked these questions of consumers. To investigate these issues, we conducted our own research with 30 Australians, using an online focus group. 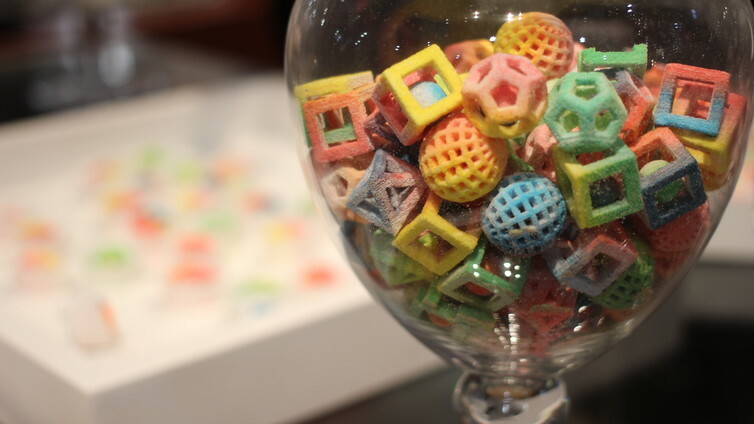 The results highlight some interesting complications in the way many people perceive 3-D printed foods, and what might tempt them to try some. First of all, we found that none of the participants had heard of using 3-D printing technology to make food products. As 3-D printing technologies were usually associated with inedible objects made from substances such as plastic, plaster or metal, it was difficult for our participants to understand how they might work with foodstuffs. 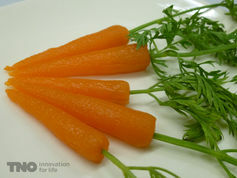 Our participants were far more positive about 3-D printed carrots, pasta, pizza, chocolate and a meal with chicken and vegetables (made from “real” whole food purees) than they were about 3-D printed sugar confections, meat and food made from food waste and alternative food sources such as algae and insects. They could not imagine eating them or serving them to others. These materials were considered to be inedible according to the cultural norms of our participants, no matter how they are prepared or processed. So it wasn’t that they were 3-D printed per se, but what they were printed from that affected their attitude to the food. Those participants who had ethical misgivings about eating conventionally grown meat liked the idea of 3-D printed meat products. But most of the participants considered the process to be a little too much like “Frankenfood”, particularly if it involved using laboratory-cultured meat. Here it was the process of making the ingredient that was considered “unnatural”. Many participants’ lack of familiarity with the 3-D printing process underpinned their reservations about the safety of using food materials that would otherwise be discarded as waste. They were unsure about how the risks of food contamination and preservation would be dealt with. Many of them also considered the healthiness of foods to be an important factor. Our participants had no problem viewing 3-D printed sugar confections, pizza or chocolate as potentially edible. But they did express concern about the healthiness of these foods, given their ingredients and current status as junk food. But our study shows that those wishing to promote 3-D printed food might have several challenges on their hands. First of all, they may need to familiarise the public with how this process works and reassure them that it is safe. Then they might need to emphasise that 3-D printed food is tasty, even if it looks unusual or is made from ingredients that are not normally considered edible by cultural standards. Only then might consumers consider the possibility of including 3-D printed food as part of their lives, including at the Christmas lunch table. Need a weird magnetic field pattern? Researchers in Austria and Germany have a new way to produce magnets for all sorts of uses. Success in mice moves research one step closer to the holy grail of regenerative medicine.